Despite our loss to UNC last Saturday, I had a phenomenal time at my first-ever, home basketball game. I actively don’t consider myself a sports fanatic, but I doconsidermyself an entertainment fanatic. 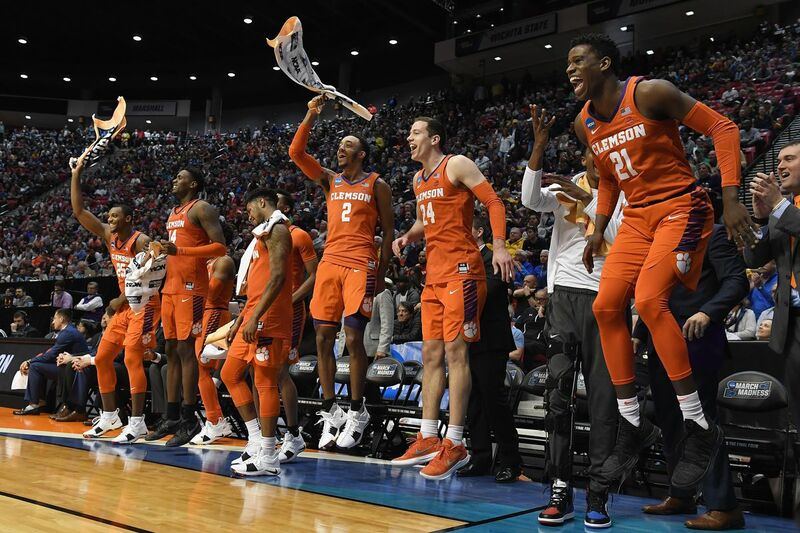 It’s common knowledge that Clemson is nationally known for their athletics, but more than that, they excel at creating excitement at the games. I went to the UNC game on Saturday night for the experience, and Clemson Basketball delivered. I was absolutely floored with the music, lighting, half-time show, courtside emcee, hype videos, audience engagement, and the overall production value. It felt like a live WWE event in terms of total excitement but with the homegrown traditions of Clemson sports. The audience of this game was a healthy mix of students, families, VIPs, and of course, the Tiger Band, who was there to play all the hits. When the teams were running out, the student section communally booed the UNC players and lost their minds over our players. The start of the game was signaled by a jumbotron hype video, introducing each team member with bursts of both fog and fire, and the Clemson Tigerbeating a massive battle drum. Littlejohn was electric. As a newcomer, I know next to nothing about basketball, but it’s a fast-paced, fairlyintuitive sport. I’d say it’s pretty easy to get invested when you’re so close to the action. Above all, a basketball game provides ample opportunity for commercial breaks which, much like the super bowl, is the best part. On multiple occasions, the audience was given a chance to catch a t-shirt from one of the cheerleaders on the court or catch a Coca Cola parachute dropped from the rafters. I didn’t catcheither but seeing rolled up t-shirt burritos being hurled into a sea of hungry Clemson fans was enough for me. A staple of any basketball game is an emcee with a bucket hat and charismatic voice, hosting little challenges that carry the prospect of one lucky fan winning big. Twice during the game, a fan was selected and brought down to center court to complete a nearly impossible challenge for $10,000. Both participants were way off from making their half-court shot and across-the-court putt, but Clemson created a moment where those two individuals could make themselves $10,000 richer. Everyone loves a good underdog! Now, the best part of the night: the halftime show. The first half featured the Rally Cats and the mascot dancing to a song, and the Tiger back-flipped MULTIPLE times during this routine! I’m a sucker for good choreography, so I was obviouslyover the moon. The second half of the halftime show was an act called the Chicago Boyz Acrobatic Team. 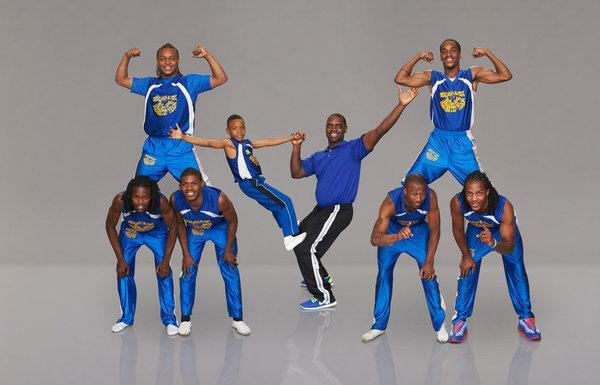 They are a professional gymnastics troupe, consisting of talented young men and boys from the Chicago area, and they were finalists in Season 8 of America’s Got Talent. The Chicago Boyz did a rousing 10-minute act consisting of tumbling, jump-roping, and acrobatic feats to the musical stylings of Pitbull and Flo Rida. If you haven’t seen their acton YouTube, you can probably guess that it was the most palpable energy I’ve seen in one enclosure in my entire life. The minute they stacked on each other’s shoulders three-boyz-high, brought out the trampoline,and started backflipping over the stack, I almost felt faint. All in all, I was uber impressed with the production value of this basketball game. It was a true full-body experience with an incredible cast and behind-the-scenes team that contributed to a truly magical time. The biggestpart of this experience for me was that I was transported. Just as with any other form of art, it was an escape from reality. Maybe I’m overreacting because this was my first game, but I genuinely wanted to be a part of something amazing. I didn’t wait two hours to get into this game to live a more regular life. I was looking for something spectacular, and I found it. Hi, I'm Justine! I'm a senior Health Administration student with fun-mom-energy and a spunky personality!